Following the Founders’ Day banquet at TECO Plaza, more than 500 Tampeños, including many who attended the banquet, witnessed the premier of the short, non-fiction film “A Legacy of Smoke” at the Historic Tampa Theatre. The film, produced by Prof. Fernandez and his collaborator, Luis Argeo of Gijon, Spain, follows several residents of Tampa, each Spanish born or descendants of Spaniards as they go about their everyday lives. 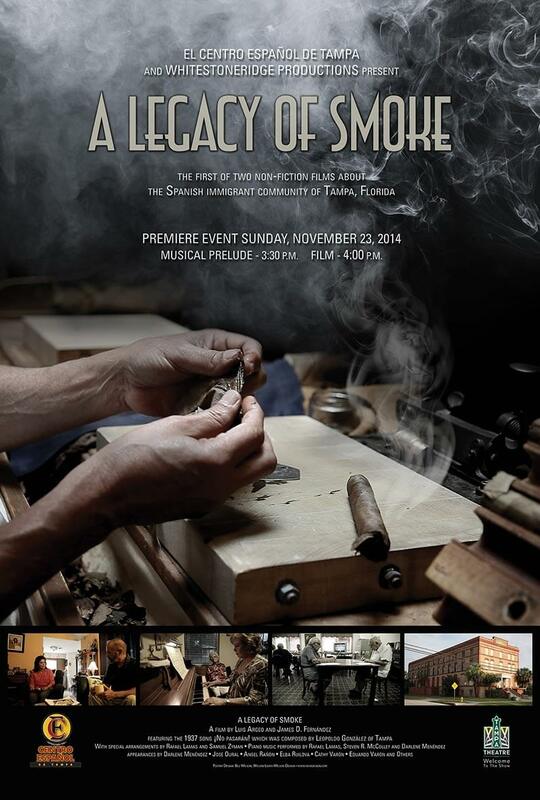 The movie explores the intersection of the present and the past by examining the “legacy of smoke” left by the cigar industry and the Spanish immigrants who helped to create and sustain it. The movie is not yet available on DVD.